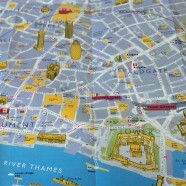 TfL have produced a nice range of maps to promote walking instead of public transport (especially during the Olympics). The maps use different cartography to the other walking maps TfL have produced, and feature a nice range of pseudo-3D buildings and key landmarks. There are also 4 concentric circles that give an approximate walking time up to 25 minutes away. These have been centred over the “hotspot station” the map was produced for- in this case Fenchurch Street. 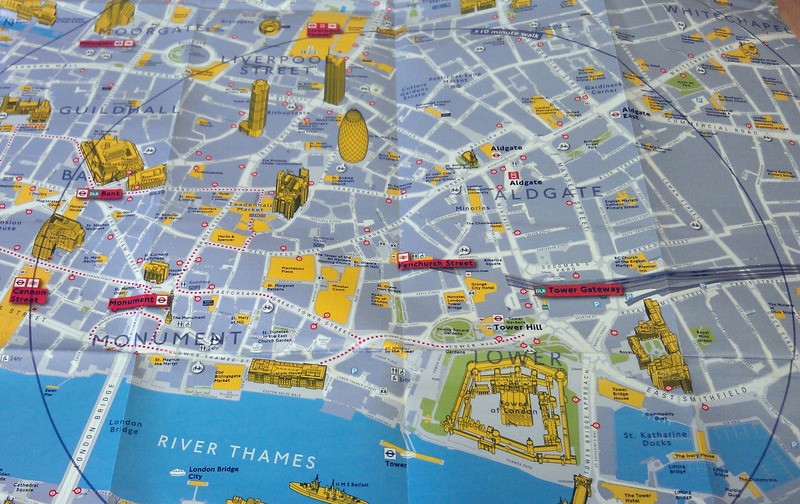 The maps were being handed out to hardened city commuters who I expect do most of their onward journey by foot anyway. Hopefully TfL will continue to distribute these maps right up to and throughout the games. I can’t seem to find an online version of these so keep an eye out for them at your local “hotspot” station (of which there are many). Those look like they use the same cartography that was developed as part of the Legible London scheme, and used on the maps at Boris Bike terminals (with concentric rings denoting cycle distances), and on the standalone pillars that are dotted around central London showing walking maps. It’s very striking and easy to follow. These maps are excellent – very easy to read and follow. For those of us with deteriorating sight they beat the A-Z hands down. So much so that I’d really like a set and be prepared to pay for them! Wheer can i order some of these maps? Typical LUL … they have a really good idea then completly wreck the implementation. Why can’t thes arrogant idiots get it right occasionally? 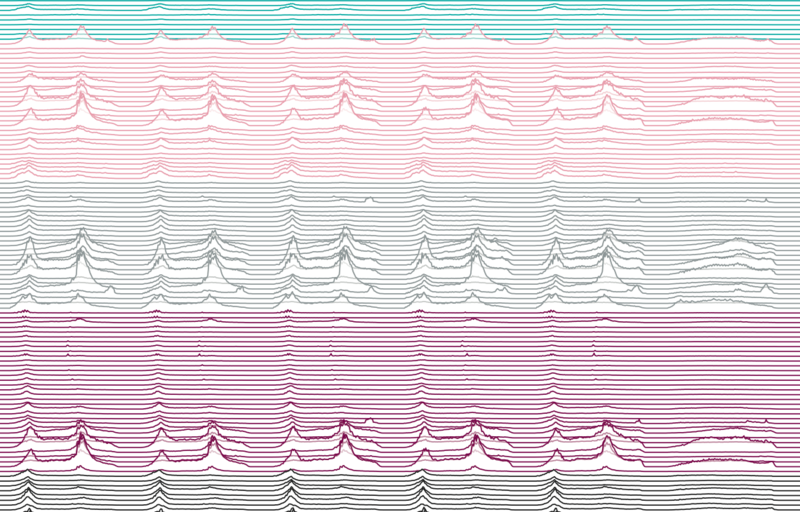 Particularly as these maps should continue to be available after the Kraft durch Freude “olympics” are over…. I’m an idiot AND I’m disabled with severe mobility issues how can these maps help me eh?. And I have issues around abandonment too! Good effort Ian – & bonus points if you walked between each of the stations! Ian, I’m hoping to do the same! I have yet to collect all the required maps. 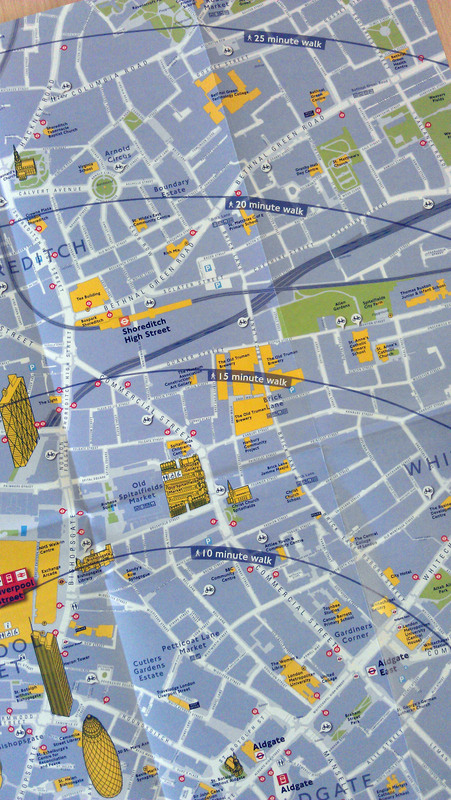 So far I have found TfL maps of the Why not walk it? type with the cover entitled as shown below for the railway station ………. Have a few more to get though by the looks of it. Has anyone seen them at any other stations?? Why not walk it? type with the cover entitled as shown below for the railway station ……………….………. 4 more “district” walking maps not specifically based on one railway station…………..
Perhaps you’ll post any further finds here readers. Can there be more???? Please contact Walking@tfl.gov.uk if you would like to order a copy of any of these maps. alternatively you can find them at mainline railway stations! could sound silly but I’m trying to collect all maps and stick together in a big wall picture. I called TFL asking for a digital version but unfortunately it is not available as well as the big poster. If anyone has useful information please keep update through comments.